There’s a lot of preparation that goes into a dinner party or a restaurant business. Even when there’s no apparent theme, the ambiance has to be suitable for your target consumers. That means doing everything to bring life to the venue; setting the right mood and tone with furniture, color palettes, food, and other paraphernalia. 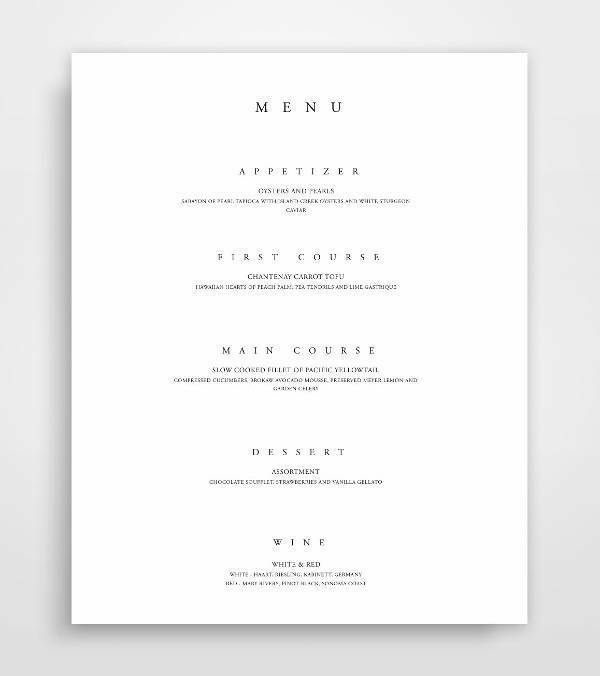 Often overlooked and understated, the menu card is one of the most significant pieces in an event or restaurant that brings everything together. 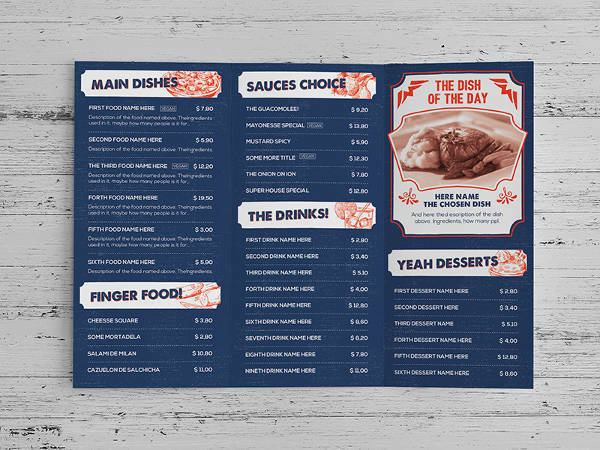 Menu cards serve as the bridge that connects the diner to the meal, making the experience more real. 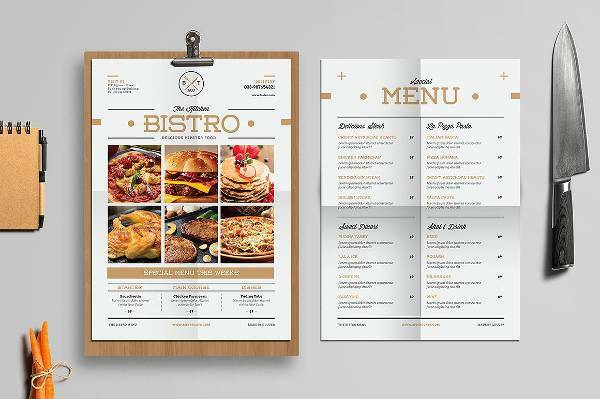 If you haven’t considered seriously working on your menu designs, check out the ones we’ve got listed to see what inspires you most. 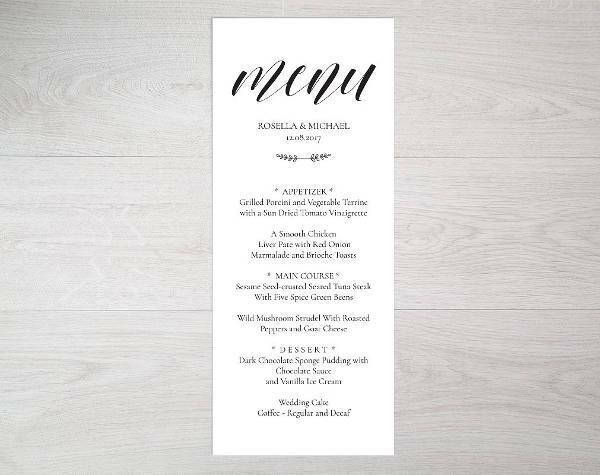 Wedding receptions, rehearsal dinners, and bridal showers are events that always require a menu card. They are usually formal events, save for a few exceptions. Nevertheless, their menu cards have to be the epitome of romantic and sweet. 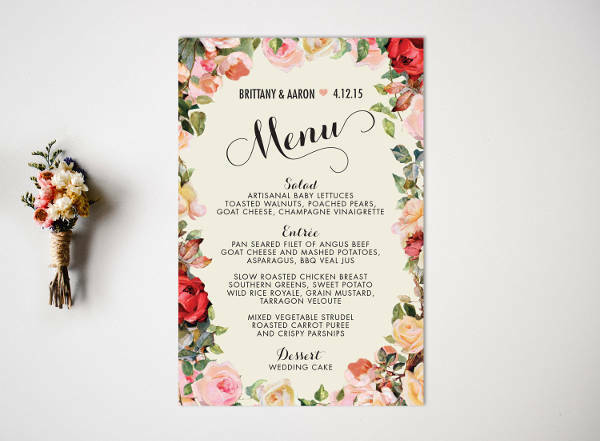 Common themes for wedding menu cards are floral, vintage, or beach-themed. Vintage floral patterns in pastel are perfect for a spring summer wedding. They are often used as borders with the menu listed in calligraphy script. 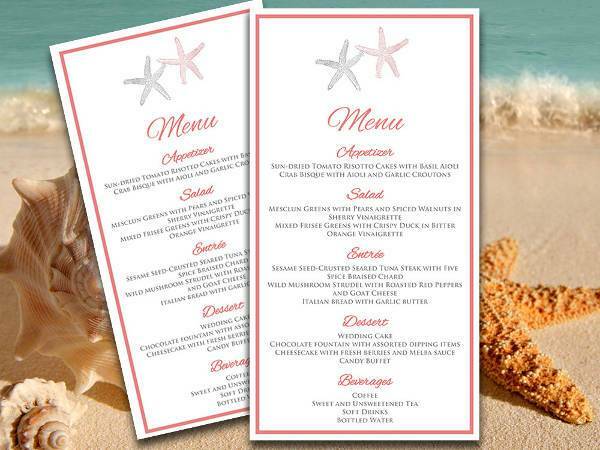 Beach-themed menu cards are light and fresh for the eyes. 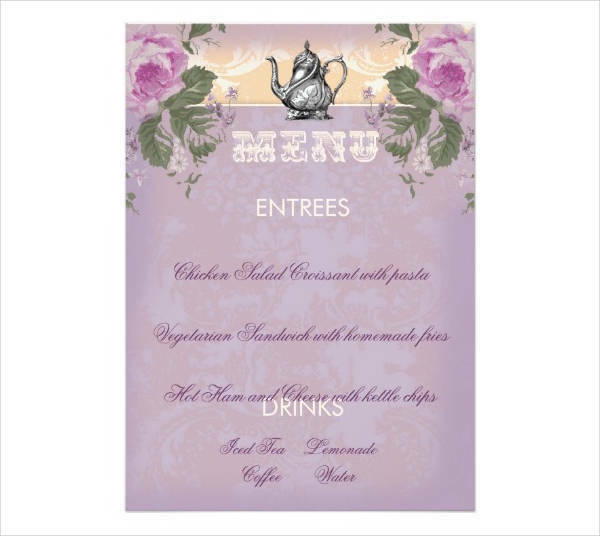 You can add a border to your list of entrees with ocean waves or seashell illustrations. 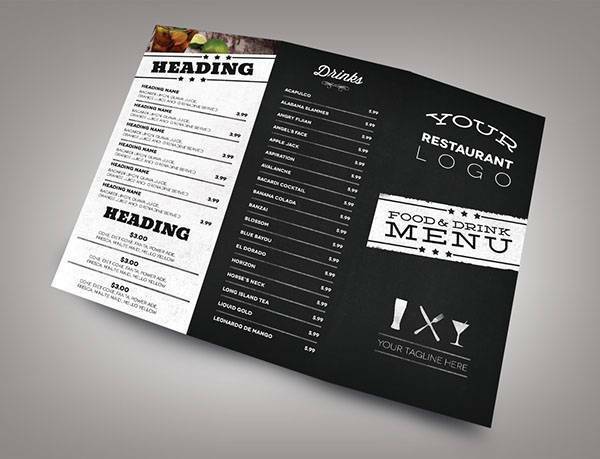 Designs for restaurant menus rely on the overall theme of the venue. They help set the mood. Contemporary and urban venues call for more creative menu displays. 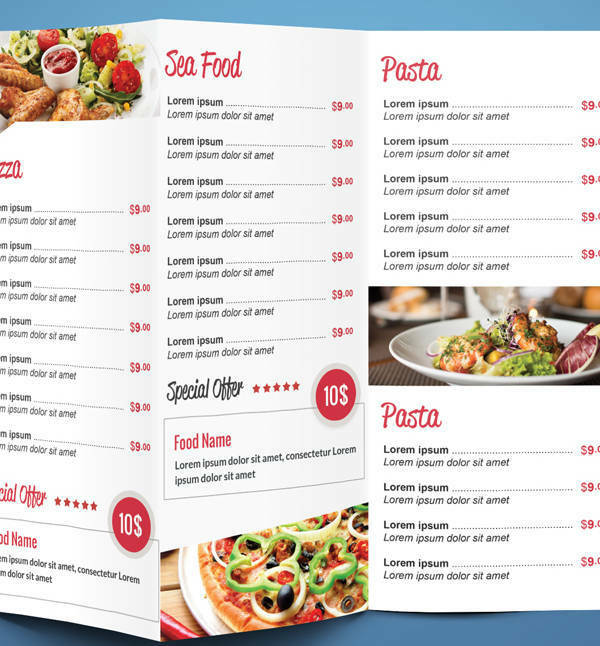 You can print out your menus in special paper with a worn out effect, and compile them in a clipboard. Balance out your use of images and text. You can feature some of your best-sellers on the front page with an official list of meals and drinks in the succeeding pages. Seafood restaurants never fail to incorporate the underwater theme by using different shades of blue and images of sea creatures to bring the ocean closer to the diner. If you don’t want to end up looking like any other seafood resto, try different ways of presenting your menus. 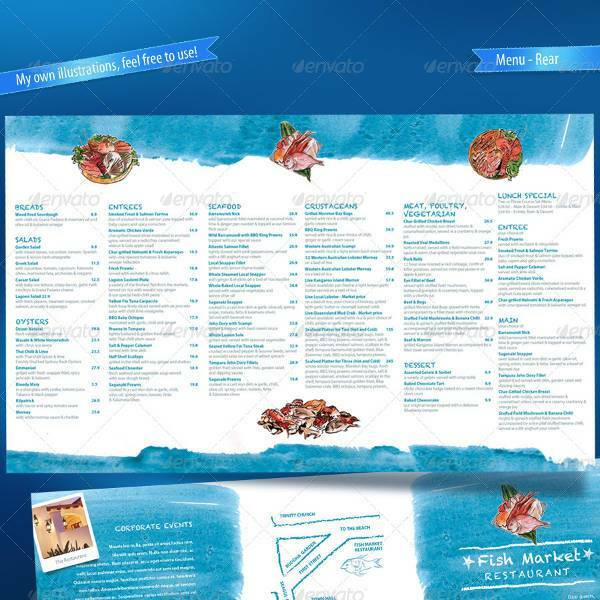 You can go for DIY menu cards, handcrafted and personalized; or try the tri-fold menu card design to utilize the space. 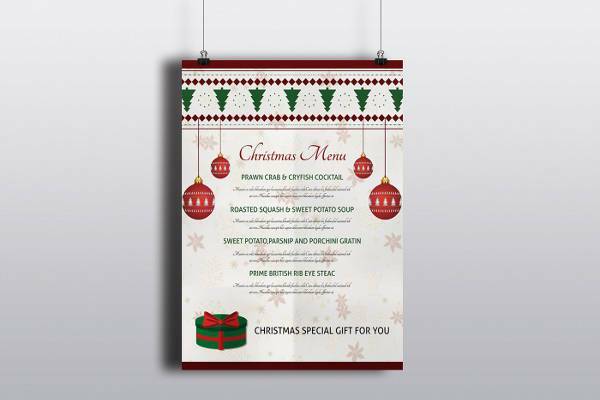 Menus for holiday parties are warm and fun-looking. They’re also quite easy to prepare since there are already themes and looks set for every holiday. 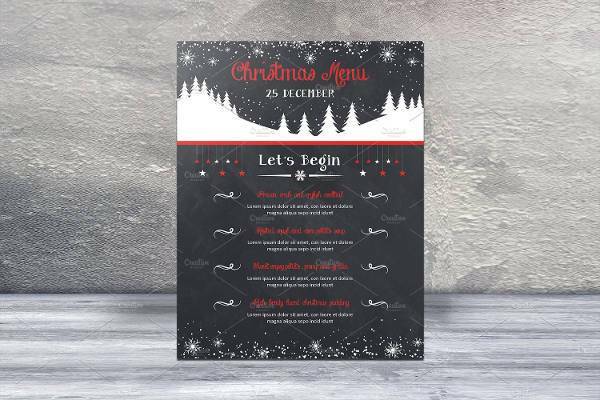 Much like your personalized holiday card designs, the uniqueness of your menu card design now relies on your creativity. You can incorporate other themes in your holiday menu card like antique wreaths for Christmas, or handwritten printable menu cards for Thanksgiving. 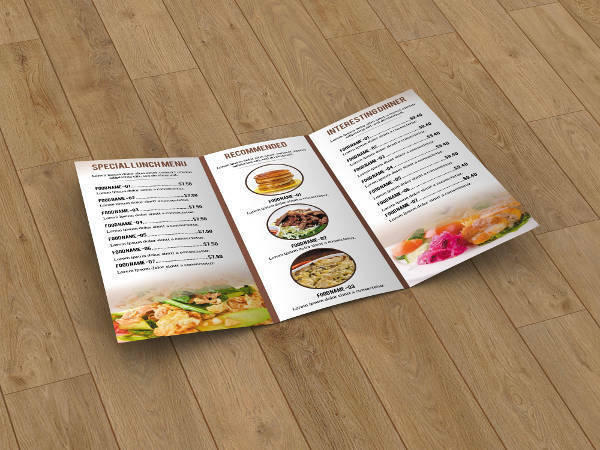 Keep your menu cards simple and delicate, with minimal borders and images, but with smart use of color combinations. Birthday menu cards are unique to every party. The designs almost always show the personality of the celebrant. 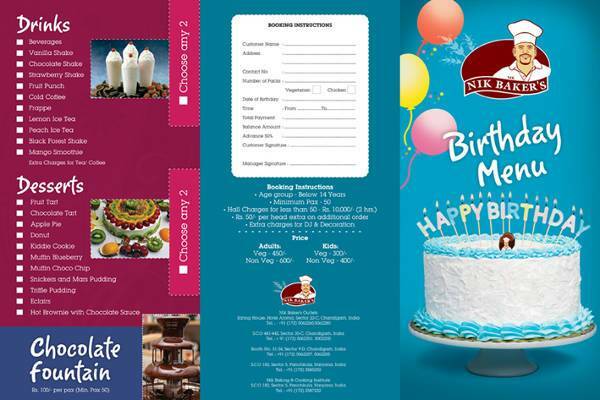 If there’s a set theme for your birthday bash, make that clear in your menu card design. Make your menu cards as happy as a birthday card. Make your theme visible—whether that’s classy vintage chic or bohemian inspired. You can make use of Aztec patterns as background with funky 70’s typefaces; or go for an English tea party theme with China patterns and simple flowery borders. 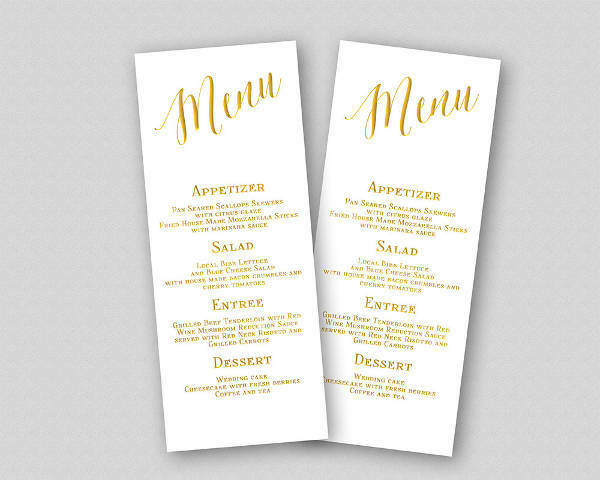 Menu cards contribute to the setup of a rehearsal dinner or a fancy restaurant in significant and often unexpected ways. They contain a huge amount of entertainment and aesthetic value when done just right. 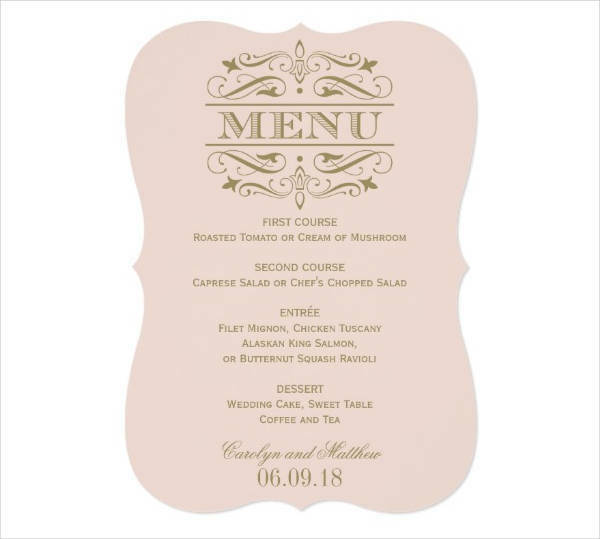 What this means is, if you make your menu card designs totally appropriate and distinct for your particular event, they can amplify a good experience. 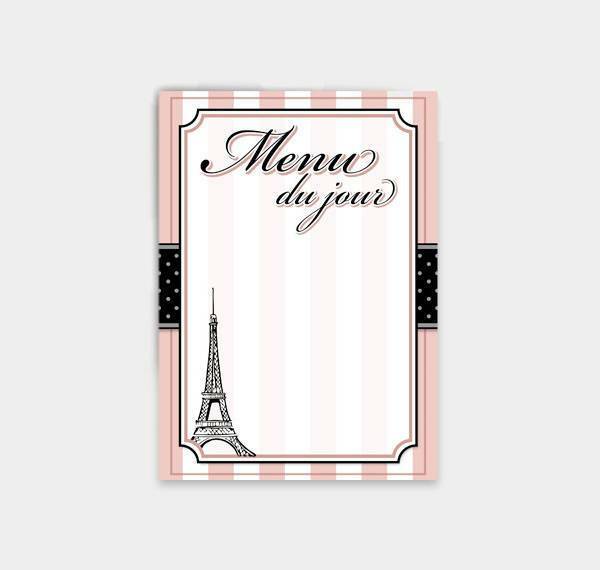 This also implies that there are plenty of ways to dress up your menu cards depending on their setting. Casual gatherings, cocktail parties, and fast food places are often light, with a touch of spontaneity. 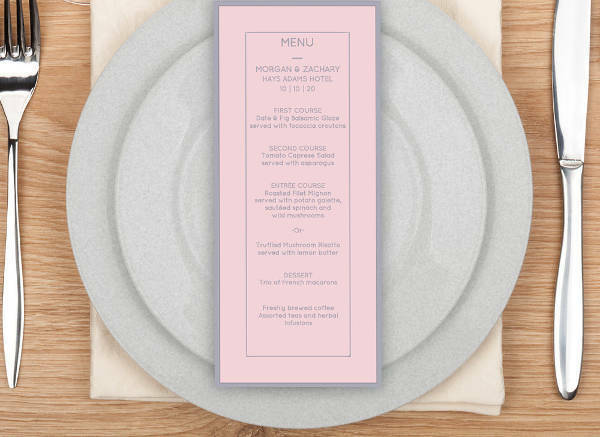 They are not as structured as formal events, and their menu cards are just as carefree. As much as possible, your party menu for these kinds of setups have to contain personality. Your designs can emphasize the theme of your event or the actual meals themselves. Focus on unpredictable patterns or borders with striking color accents. 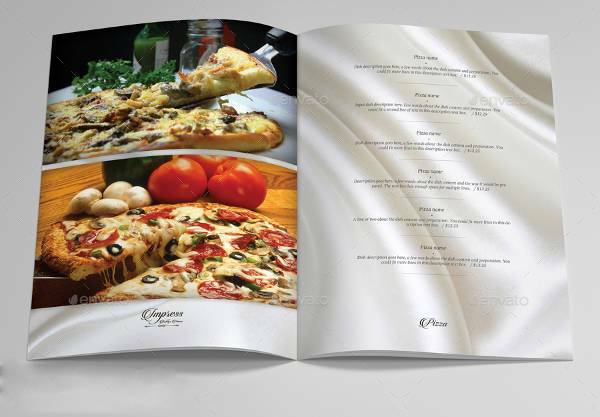 You can even make use of illustrations as a way to present your menu. 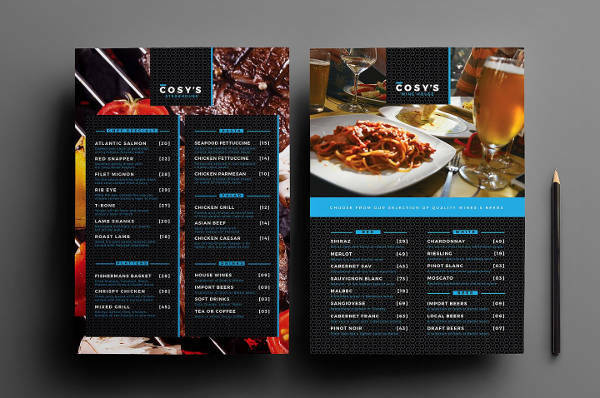 Keep the atmosphere light but filled with energy, and let your menu card designs do all the talking. A formal setting for a restaurant or a dinner party is well-organized and structured. They focus more on subtlety and sophistication. Formal events are not always loud and direct with their themes, but it’s something you experience along the way. This is why their menu card designs are often minimalist and elegant. Everything is set to a balance to produce a sleek and quality finish. 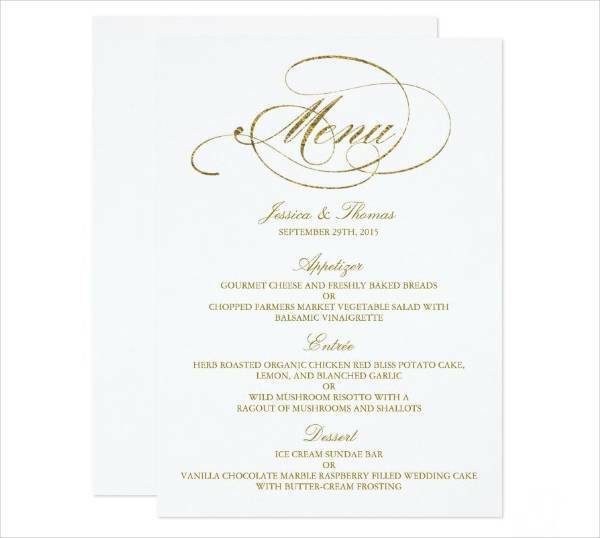 The meals are often listed in delicate typefaces with borders that reveal hints of the theme or underlying concept. Menu cards can be tricky, but they’re not always so. The key is to be consistent with your overall setting. Don’t go overboard but don’t be too subtle either. Once you’ve set all your goals straight, you can then breeze though the design process. 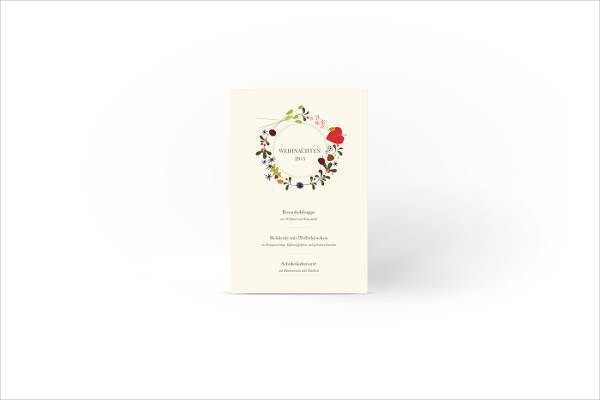 Menu cards are personalized notes created with intent and dedication, to make the guest feel welcomed to the event or the restaurant. They make the environment less intimidating and warmer. This also has to do with the way they are presented and displayed. 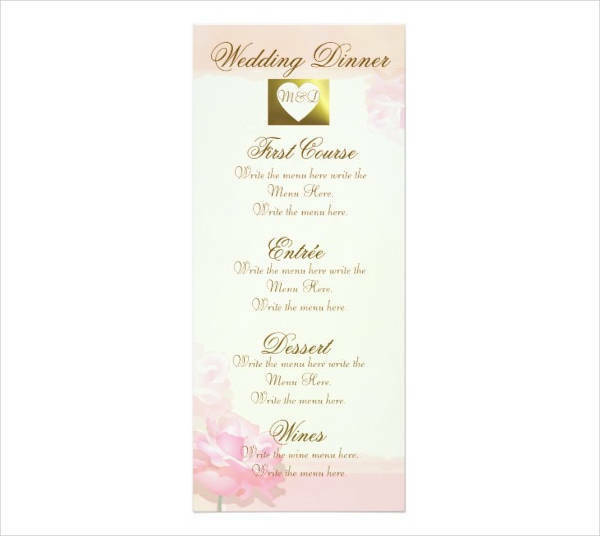 If it’s not a typical restaurant setting or a traditional dinner party, menu cards can be displayed in creative ways. You can place them in a basket by the entrance with a free trinket or flower as the guests enter. You can stack them in an ice bucket by the bar during club events. You can also post them on cork boards in urban cafes. You can even attach them to the centerpieces on every table. There’s a lot that goes on in the planning and designing process. If you have the patience and dedication to make your menus work, then take a significant amount of time in planning them. Take note of the number of guests you plan on having, the number of servings you’ll need, and the number of menu cards you have to make. 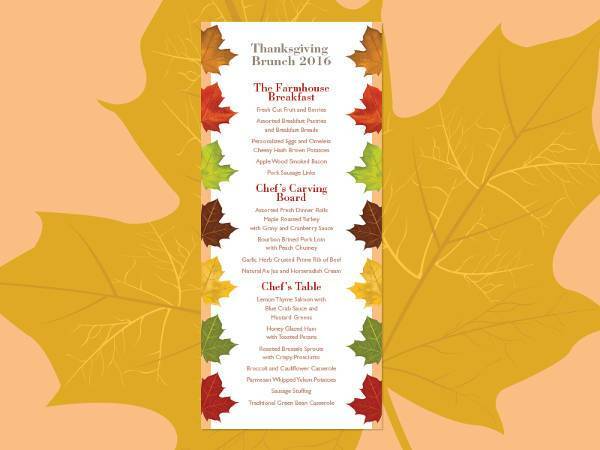 All of this contributes to the quality of your menu cards and your whole event. 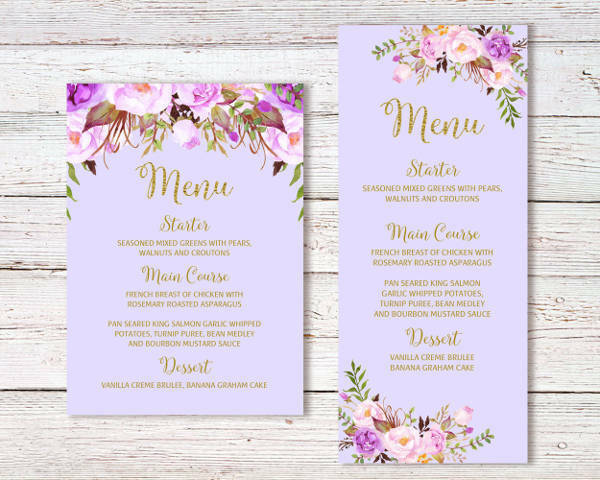 If you’re still starting out and trying to look for ideas, our menu card designs are more than happy to serve as much needed inspiration. 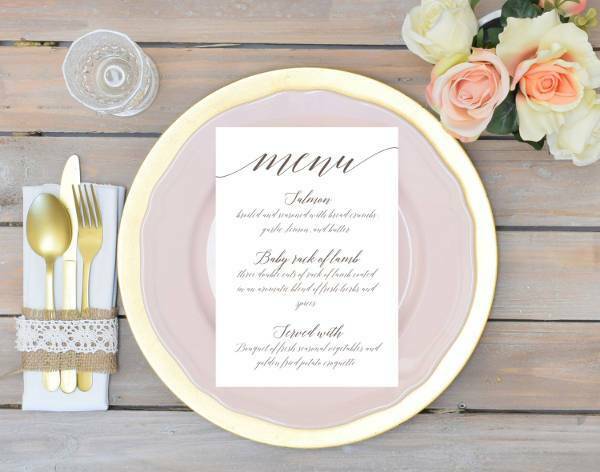 From DIY to printables and tri-fold formats, our menu card designs are here to help you out. They can be downloaded and edited with ease to help you achieve your desired look.